'Video Now' Is this the future? 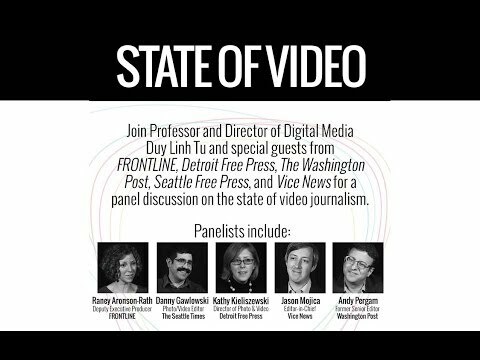 The Tow Center for Digital Journalism at Columbia Journalism School has released a multimedia report titled “Video Now: The Form, Cost and Effect of Video Journalism”. In an in-depth look at the fast-growing format, Tow Fellow Duy Linh Tu and his team visited several newsrooms across the US in an attempt to understand the effective strategies and emerging trends in video journalism. The report ranges from how to monetise video to how produce high quality content, including insight from the staff of publications such as Mashable, Vice, MediaStorm and The Washington Post. The report concludes with a series of recommendations. One of the key points was to focus on the subject rather than the medium, while publishers were encouraged not to put their content in a separate video section. In terms of length and scope, video should be "up to the minute fast" or "deep and important" not the middle ground. The report was officially launched at a panel discussion with speakers from Frontline, The Seattle Times, Detroit Free Press, Vice and The Washington Post, where they examined the topics in detail and fielded questions from the floor. The discussion can be viewed below.